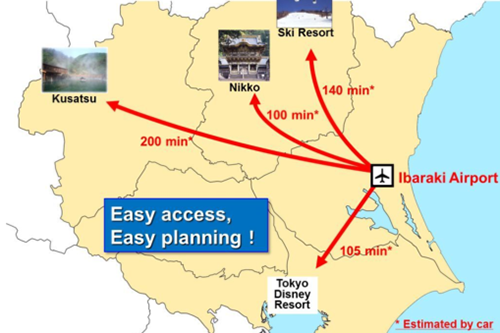 the Nikko World Heritage site, the Tokyo Disney Resorts, ski resorts in the Kanto area, etc. 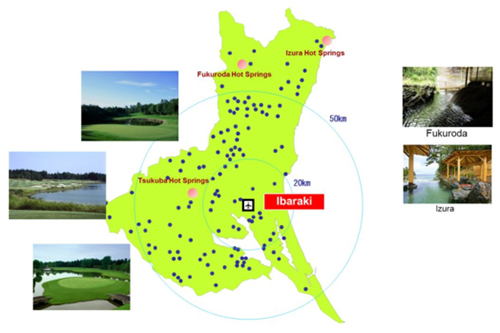 Country Clubs & Hot Springs: 127 county clubs and 135 hot springs. 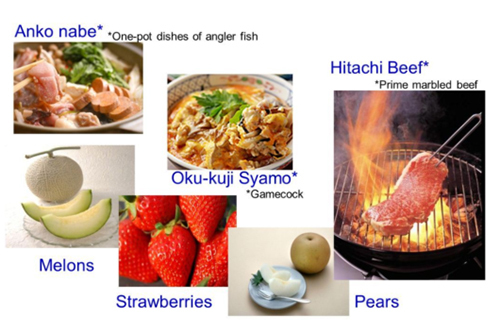 Hitachi Beef, fresh seafood such as Angler Fish, delicious fruit, etc. 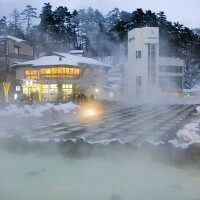 enjoy shopping at one of the largest gatherings of shopping malls in the Kanto Area. 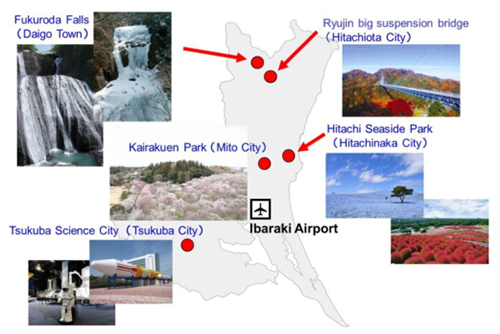 Fukuroda Falls, Kairakuen Park, Tsukuba Science City, etc. Kairakuen designed by Tokugawa Nariaki as “the place of recreation for the public” is one of the three great gardens in Japan along with Kenrokuen in Kanazawa and Kourakuen in Okayama. 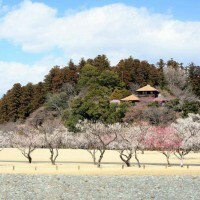 “Mito Plum Blossoms Festival” and other events attract lots of visitors. Seasonal beauty of flowers such as Kirishima azalea in early summer and bush clover in autumn is worth seeing. This is one of the three greatest waterfalls in Japan. The cataract falls against a rock cliff in four sections, and it is said that unless you come here every season, you couldn’t discover its real wonderfulness because it shows us seasonal beauty through the year. 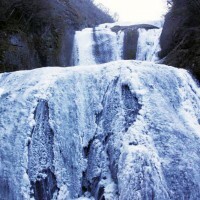 So it is also called “Yodo-no-Taki,“ or four times falls. 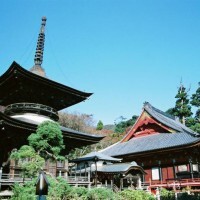 Kashima Shrine is said to have been established in 660 B.C. and is the oldest and largest shrine in the Kanto area. 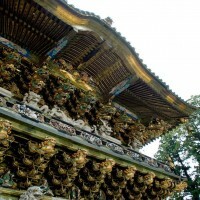 The shrine is dedicated to Takemikazuchi-no-mikoto, a Shinto god of martial arts and has been revered by the Imperial Family since ancient times. Mt. Tsukuba has been called for “Mt. Fuji in the west, Mt. Tsukuba in the east” in the old time, and it is also known as the “Purple Peak of Kanto” because of its color change from dawn to dusk. Mt. Tsukuba is 877 meters and you can enjoy climbing a mountain by using a ropeway and a cable car. In the mountain, more than 1,000 kinds of plants can be found. 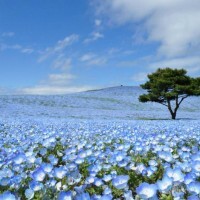 With an area of about 190 ha, Hitachi Seaside Park boasts its wide variety of seasonal flower gardens such as narcissus and tulip in spring, nemophila in early summer, zinnia in summer and kochia and cosmos in autumn, which attracts lots of visitors. The total length of the bridge is 375 meters. It is the longest in the main island (Honshu) of Japan as a pedestrian bridge, the height from the surface of the lake is 100 meters. 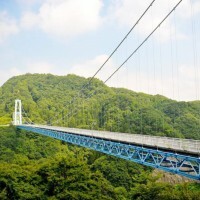 Bungy Jumping from 100 meters-high is the highest one in Japan. You can enjoy viewing beautiful panorama of each season from the bridge. 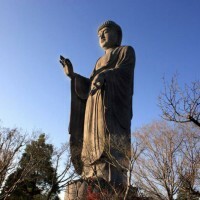 Ushiku Daibutsu (a huge statue of Buddha) is authorized by the Guinness Book of Records as the largest standing Buddha figure in the world. Its height is 120 meters high and you can enter the inside of Buddha by elevator. There is a flower garden on the site and beautiful flowers can be seen with seasons change. Amabiki Kannon is a goddess of easy delivery, child-raising, ridding of bad luck and economic fortune and Amabiki Kannnon temple is 24th temple of Bando Kannon Reijyo (holy place) where amulets may be obtained This Kannon temple is also famous for the beauty of flowers, such as cherry blossom, peony, azalea, hydrangea and autumn colored leaves. There is a souvenir shop that you can buy original goods. 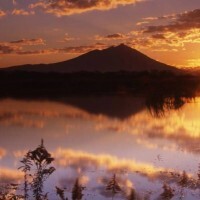 Beautiful landscape is spread out from Hananuki dam to Namerigafuchi and Otakizawa camping area. A promenade is equipped, so you can enjoy hiking and walking. A view seen from Shiomidaki Suspension Bridge over the gorge is magnificent. 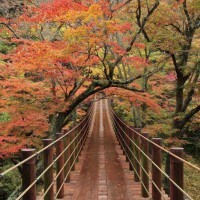 Especially in autumn, the scenery of colored leaves of trees, whose branches are developing along both sides of the river and make a shape of a tunnel, is splendid. 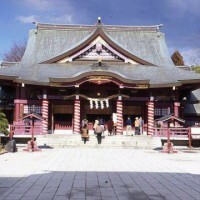 Kasama Inari Shrine is one of famous Inari shrines in Japan and it has been since 651.This shrine worships Ukanomitama-no-mikoto as a god of business and fire prevention. Approx. 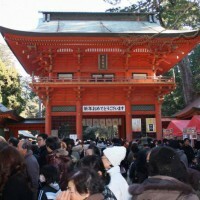 3,500,000 people visit the shrine a year. The meat is of Japanese black beef raised only by approved cattle-farmers. 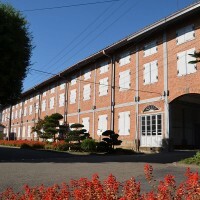 The quality and the taste are so high that it is one of the most popular Japanese beef. 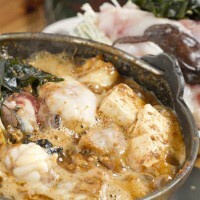 Anglerfish is one of the special features of Ibaraki’s winter cuisine. It is said the best tasty fish in eastern part of Japan is anglerfish, and in western part globefish. Anglerfish tastes best in winter and spring. The anglerfish captured at Joban offshore, where warm current (Oyashio) and cold current (Kuroshio) meet, is superb. Joban anglerfish is so delicious that it’s called ‘Jobanmono’, and sells well at fish market. Soybeans are often called ‘meat from a field,’ and Natto is Japan’s traditional food, fermented soybeans using natto fungus. 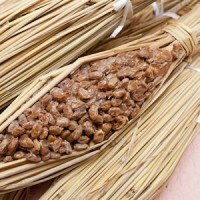 Most of Mito natto is made of small soybeans, but other types such as made from big beans and black beans are also popular. Special Mito natto is called ‘Waratsuto natto,’ since it is wrapped with fragrant straws, and you can taste original flavor and chewiness that don’t exist in the natto packed in artificial packages. Ibaraki is the top producer of melon in Japan. 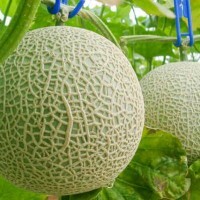 Melon needs rich, well-drained land, a mild climate, and big temperature differences between night and day, and these conditions match the climate of Ibaraki. Several kinds of netted melons are shipped all over Japan. In May and June ‘Andesu melon,’ and in September and October ‘Earl’s Melon’ are in season.